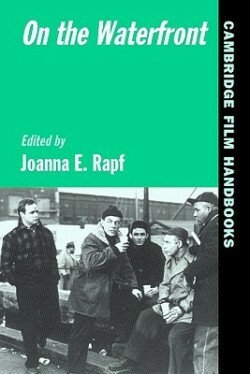 Editor Joanna Rapf asked me to write a chapter in her book (essentially a collection of essays) about the 1954 film classic On the Waterfront, directed by Elia Kazan and written by Budd Schulberg. I spent months researching Leonard Bernstein’s score and my 23-page chapter includes details — ranging from who actually orchestrated the score to quotes from those were were present at the recording sessions — that no one had previously uncovered. The Library of Congress and the Bernstein estate gave us permission to reproduce two pages of Bernstein’s original sketches (and there’s a great full-page ad from The Hollywood Reporter promoting the score for Oscar consideration). Months after the book was published, I ran into Schulberg at an event in Hollywood and was pleased to hear him say it was one of his favorite chapters. Several years later, this piece earned me a spot in the Criterion Collection’s definitive release of the film (see the DVD section).